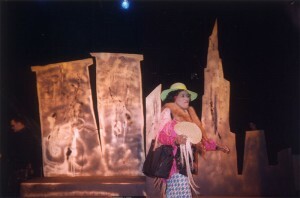 This gritty, urban musical, based on D. H. Melhem’s book of poetry Children of the House Afire, ran at Theater for the New City in New York, March 11-28, 1999. It played to enthusiastic, capacity and standing-room-only audiences. 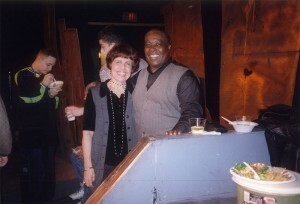 Book, lyrics, additional music: D.H. Melhem; Composer/arranger: Grenoldo Frazier. 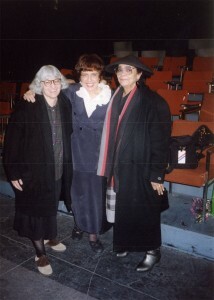 Staged reading: Oct. 24, 1990, Hunter College, Works by Women Series. Director: Bernice Lee. Staged workshop production: La MaMa La Galleria, Sept. 30, 1991. Director: Anita Velez-Mitchell. Recital of Excerpts: Dramatists Guild, April 26, 1993. Director: Grenoldo Frazier. 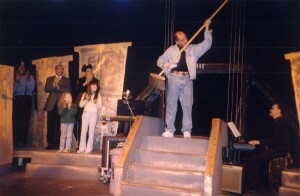 Production: Theater for the New City, March 11-28, 1999. Director: Lissa Moira. Played to enthusiastic, capacity and standing-room-only audiences. Passion, greed, and revenge ignite the tragic dimensions of this West Side Story. Personal conflicts torment the main characters: young, Black, beautiful SUGAR, who thinks she loves Howard Buck, the white Landlord of her seedy tenement; HOWARD, who, like SUGAR, is reluctant to recognize the end of their affair; MILLIE, his unhappy, middle-aged wife, with whom he lives nearby on West End Avenue; JET, SUGAR’s younger brother, who despises her relationship with HOWARD and tries to rescue her from their poverty by attempting a bank robbery; JOE, SUGAR’s former lover, Black, a union organizer and political activist, who wants her back. After a two-year absence, JOE returns at the moment of JET’s crucial decision and subsequent action. Conflicts transpire within the framework of the neighborhood’s rampant gentrification, epitomized by the life and death of SUGAR’s building.